ELIZABETH AND TYLER GOT ENGAGED JUST 90 DAYS AGO AND PULLED OFF THE MOST BEAUTIFUL DESTINATION WEDDING IN CHARLESTON. When Elizabeth and Tyler first got in touch with me about their intimate wedding in Charleston, I was so thrilled – they were planning the most beautiful and romantic wedding with a church ceremony, sabering champagne and even a carriage ride. Elizabeth and Tyler seemed like the sweetest people and I couldn’t wait to shoot their wedding! I began the morning at the Parsonage, where the bride was getting ready, and it was so much fun, because. 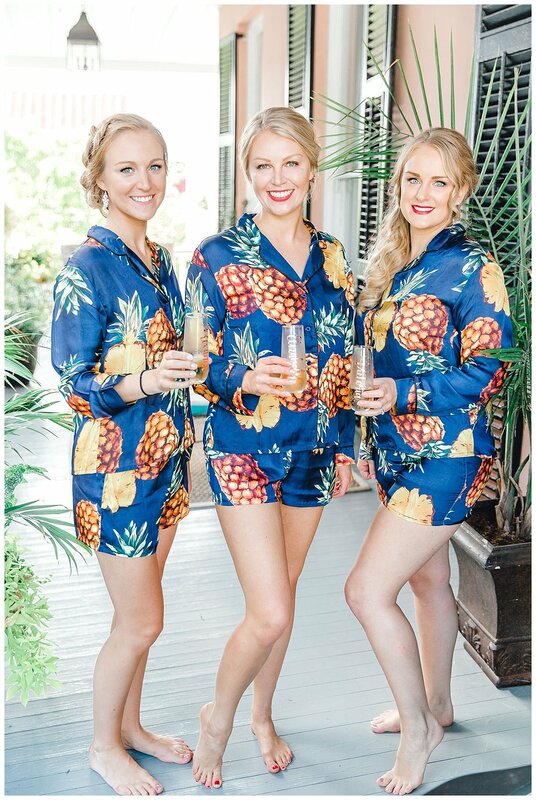 Elizabeth and her girls wore the cutest pineapple pajamas and had so much fun sipping on champagne and jumping on the bed. The wedding took place in the chapel at St. Johannes Church, and was a intimate church ceremony. They exchanged vows, which brought pretty much everyone to tears.After the ceremony they had a sweeping first kiss, and then we went and did some beautiful portraits. The wedding reception took place at Anson, after a sweet carriage ride through Downtown Charleston. It was really unique. It was a sunny day, which was perfect for photos. While the guests enjoyed the cocktails, we wandered around the venue doing fun and creative portraits. During the reception they Tyler and Elizabeth shared a first dance, which everyone loved. After their dances they cut the wedding cake, then the party got started and guests enjoyed delicious cocktails. Elizabeth and Tyler got engaged in May and married in August within just 90 days of their engagement. 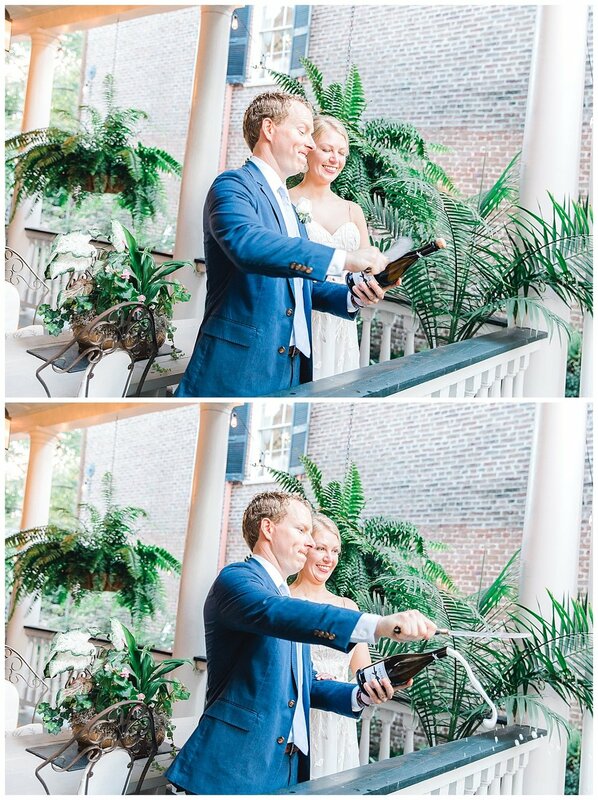 They truly pulled together the most perfect Charleston destination wedding! 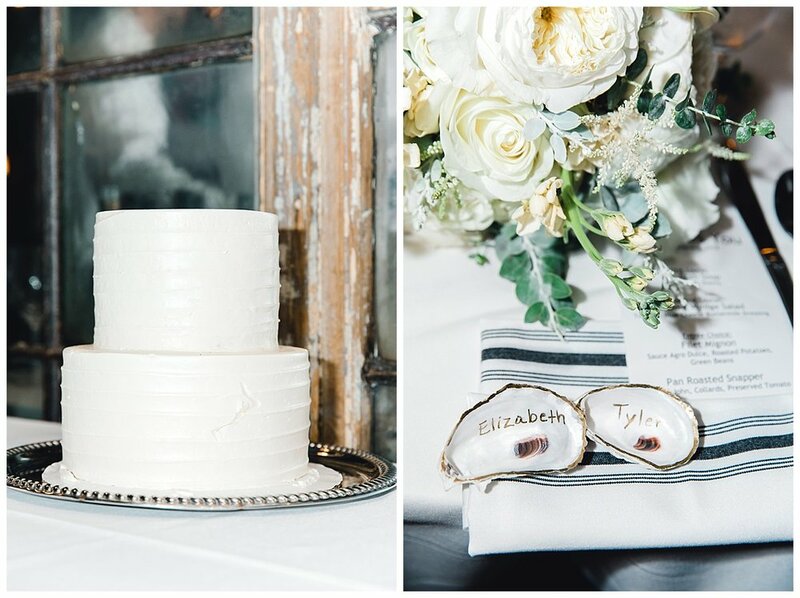 Here’s their stunning Charleston wedding! If you’re looking for a Charleston wedding photographer, get in touch!